If there is a chance that I can eat on a trip, I will find it. 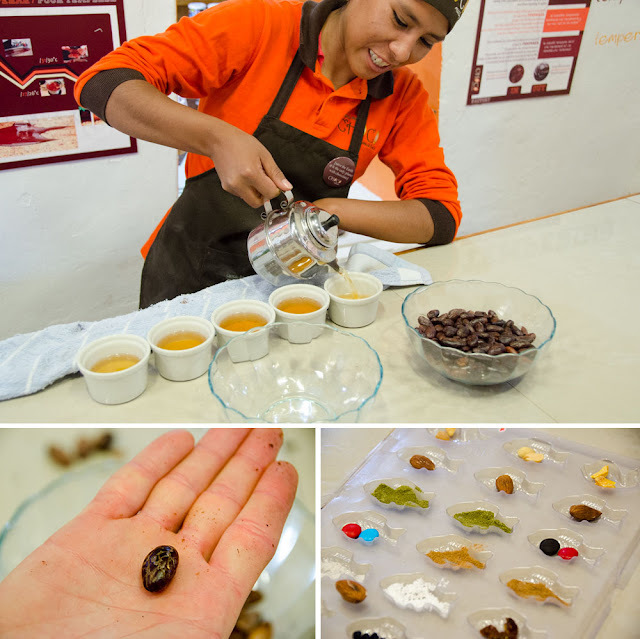 We spent the morning eating and learning about Peruvian chocolate and how it is made. 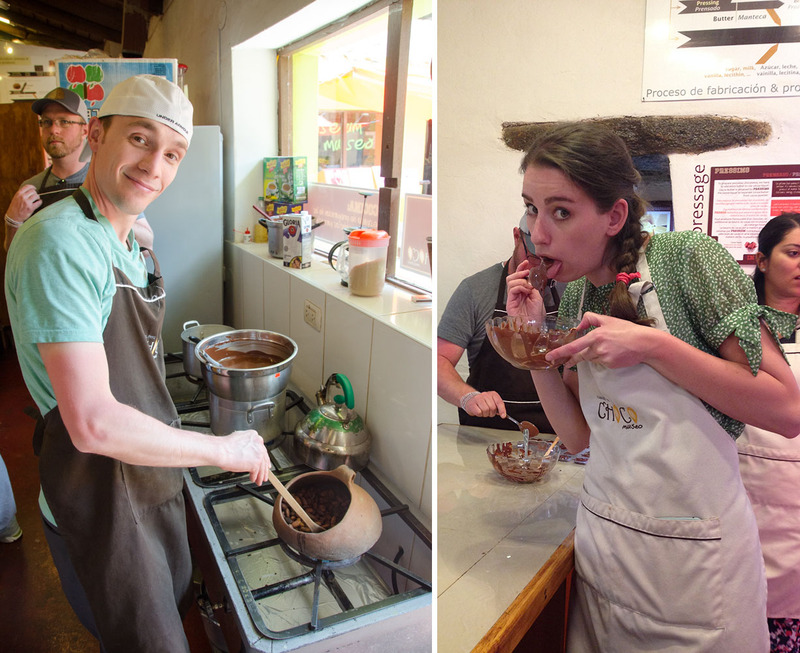 We took a chocolate cooking class at the ChocoMuseo and took a cocoa bean and mashed it into chocolate molds filled with treasures. The class was completely hands on and we are now practically pros. Actually, they gave us a bag of beans that I had no idea what to do with when I got home. But the class was so much fun. Highly recommended. After packing up and a quick lunch we boarded the train to Machu Picchu! The train ride is half the journey. We upgraded and took the nicer train that came with snacks and had class ceiling. The views through the valley were incredible and it was definitely worth the upgrade. The train from the Sacred Valley deposits travels in the tourist town of Aguas Calientes. It's a crowded Plaza de Armas and main thoroughfare surrounded by shops and restaurants and hostels. Since we were only there for the night, we picked a cheap hotel that was close. 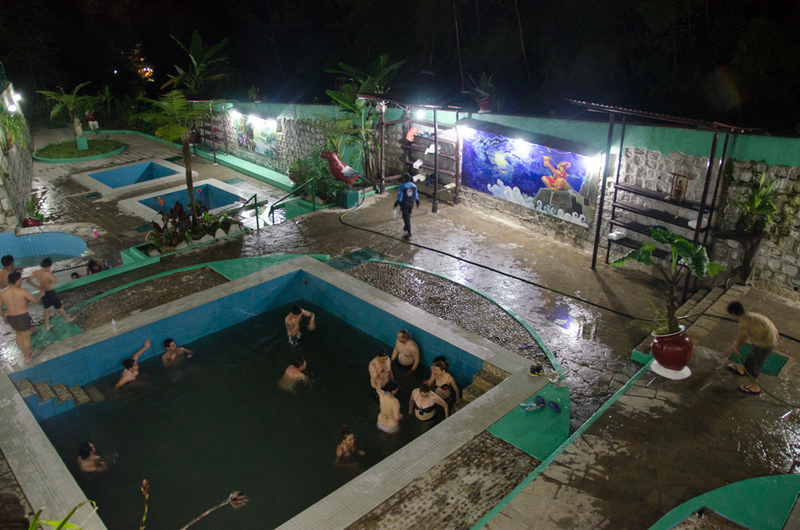 Aguas Calientes, literally meaning hot waters, is named for hot thermal springs in town. The springs are funneled into a series of public baths. Honestly, the water is a little murky (public bath = public body broth). But, when in Rome. (hot tip: rent a towel at one of the many shops along the way). We had dinner at a restaurant along Avenida Pachacutec while a soccer game was happening (goalasoooooooo!). Our wake up call was at 5 a.m. so we put in earplugs (because of said soccer game) and off to bed.